1. How much could each child carry on their own? 2. Could they carry them on the different forms of transportation we would be taking? 3. What clothes should we take with us? 4. Which stroller would be best for this trip? 5. How will they be best entertained in down time and on the plane and trains? 6. How much extra space do we need to leave for souvenirs? On this trip, we would be going by plane, train and automobile. 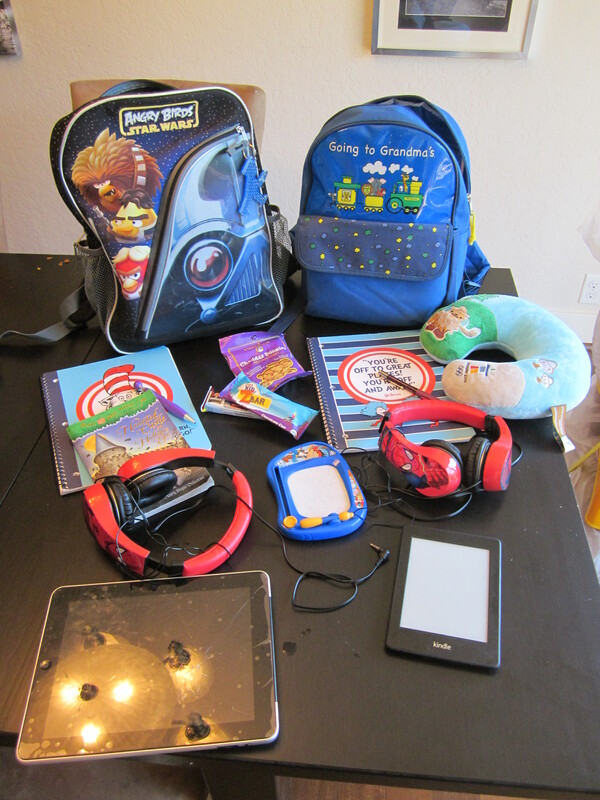 I knew the boys had handled their back packs and roller suitcases on the plane and the car before, but when you are going to be traveling by train, you have to consider getting all pieces of luggage on the train and into your compartment along with all kids. So I needed to be sure that I could manage to transport all the luggage myself with minimal help. Given my boys’ experience with their own roller suitcases, I knew that they could handle it, so we went with the back pack and roller suitcase combo. The boys’ suitcases could also give me the option of checking or carry on, given their size. Since I knew we would have access to a washer at some point, we went light with the boys and packed 5 short sleeve shirts, 1 long sleeve, 2 pairs of shorts, 1 pair of pants, 7 pairs of underwear, 5 pairs of socks, 1 pair of tennis shoes and 1 pair of sandals. 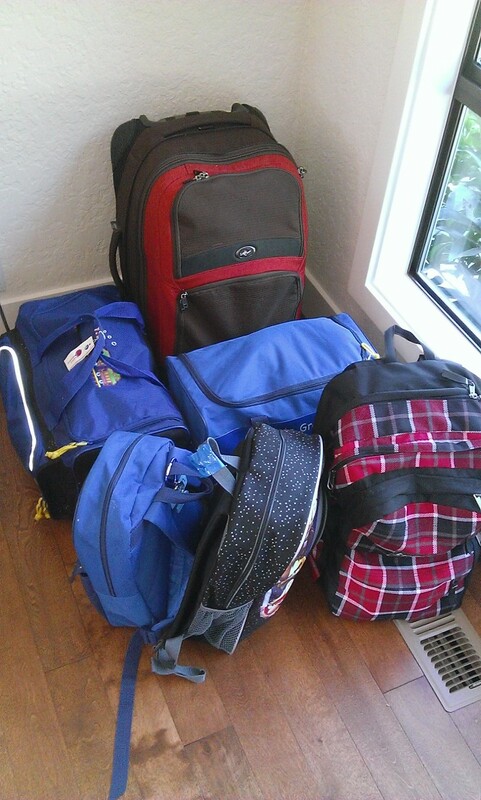 Each boy’s suitcase would get their own clothes and shoes and then I planned to fit my clothes and the baby’s in one. For myself, I chose a suitcase that I knew could fit underneath the stroller that I was going to be taking with me. 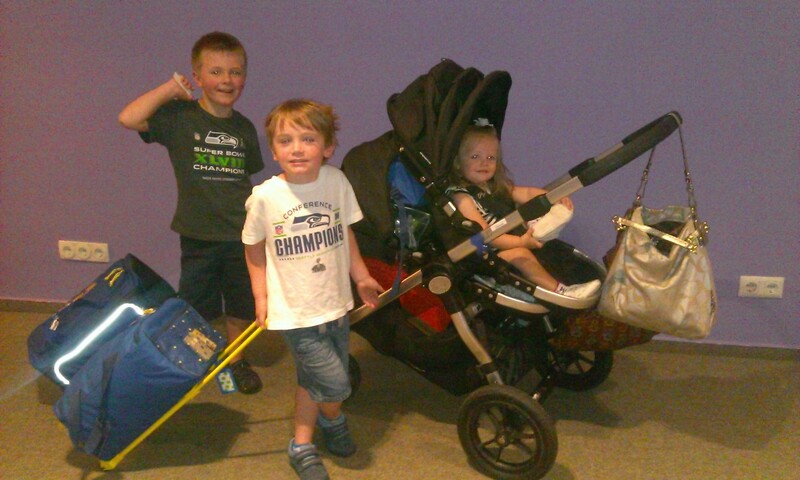 It’s much easier to consolidate and push a heavier stroller than try to manage the stroller in one hand, a suitcase in the other, and then an extra arm for navigating the walking kids. That is why I went with my Baby Jogger City Select (with double stroller attachment) as my choice for this trip. Even though I knew it would be a little difficult in Paris (a Maclaren works best in Paris), Paris was only 4 days, then I still had 24 other days to lug stuff around. 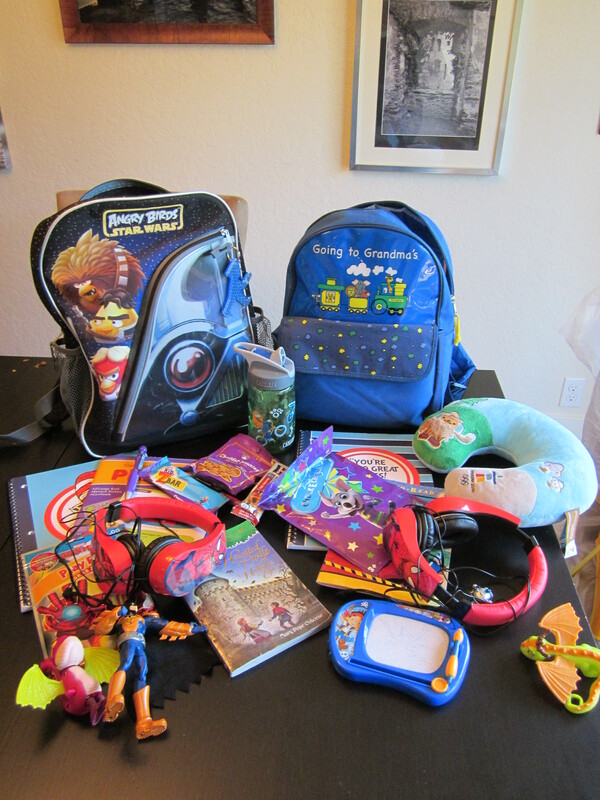 Here is what we ended up with for luggage for a month in Europe. 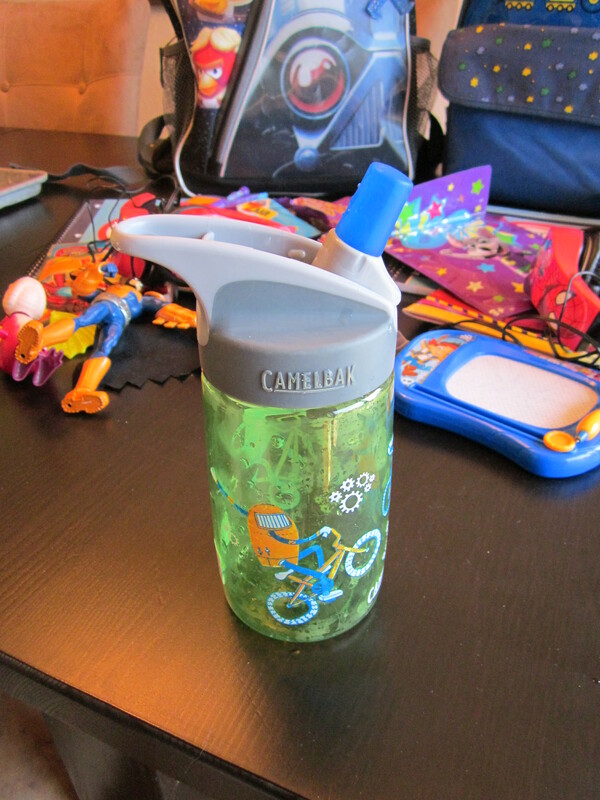 I had also packed a kids Camelbak water bottle for each kid (water on the go and in restaurants is expensive in Europe), empty to get through security and then filled for the plane. While these water bottles are great for traveling and easy for my kids to use and open and close themselves, they do not work well on planes. I quickly learned this the first time my son went to take a drink out of his mid flight and it shot out a stream of water all over him due to the air pressure and straw. So I would recommend a water bottle with no straw and a pull up cap or twist on and off top. Not recommended for plane rides but great for walking around town. Finally, here we are on the move in all our glory. Because we’re in the middle of our trip here, we have a few extra bags for in use for lunch for the day and plastic bottles that needed to be taken back to the grocery store for our bottle deposit money back. The stroller is a Baby Jogger City Select with the double stroller attachment and extra seat. The 2nd seat is in a non ride-able position in the middle clip to provide for extra luggage storage, yet keeping the whole stroller short for easy maneuverability. I had chose to bring the second seat on this trip since I knew I could store it underneath the first to keep the stroller compact when it wasn’t needed, but to have on hand in case a 2nd child got too tired and needed to ride. You’ll hear more about why I think the Baby Jogger City Select is one of the best strollers out there to travel with. ← We’re Back From A Month In Europe!